Sorry for opening a new topic just for this question, but does anyone know if Hirama Mikio is still playing as a support guitarist on MONORAL lives? Yes, he is. He also appears to be prepping a new album because he's been performing new songs other the Life and Rock 'n Roll demos that he released. They didn't release the dates yet, but MONORAL will be playing in Sao Paulo and Rio in december, and maybe other cities too. No idea about the price. they will play by themselves as in a tour or like miyavi did before... or it'll be in a anime convention or J-rock convention? It won't be in any convention... They'll be touring on some cities (Sao Paulo and Rio are confirmed, the fans are speculating Fortaleza and Porto Alegre, but those are not confirmed), playing on live houses. why they doesn't come to Florianopolis? Well, we won't know where they'll play (besides SP and RJ) until they announce it! I wish they would annouce the support members who are coming, so we can be sure Hirama is coming too. 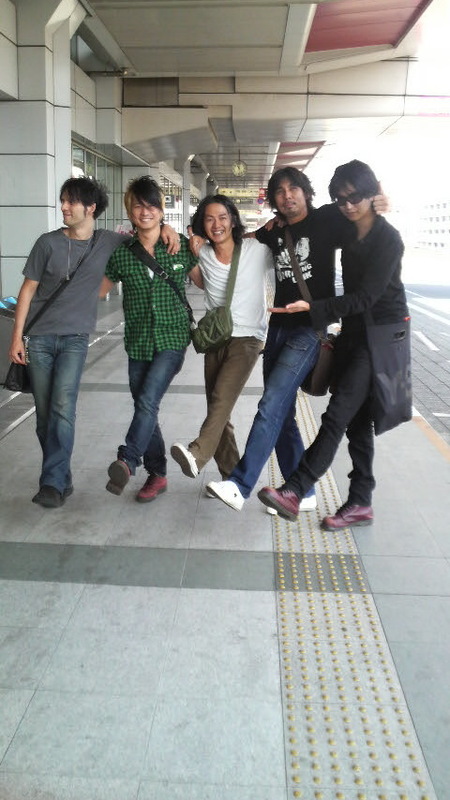 EDIT: but Hirama is really still in the band, as we can see in this picture published on their blog about two weeks ago! Last edited by Migoto : 2008.09.19 at 06:12 PM.